If I asked a group of Jazz buffs to name today's top performing Clarinet players, Ken Peplowski's name would be on everyone's list. 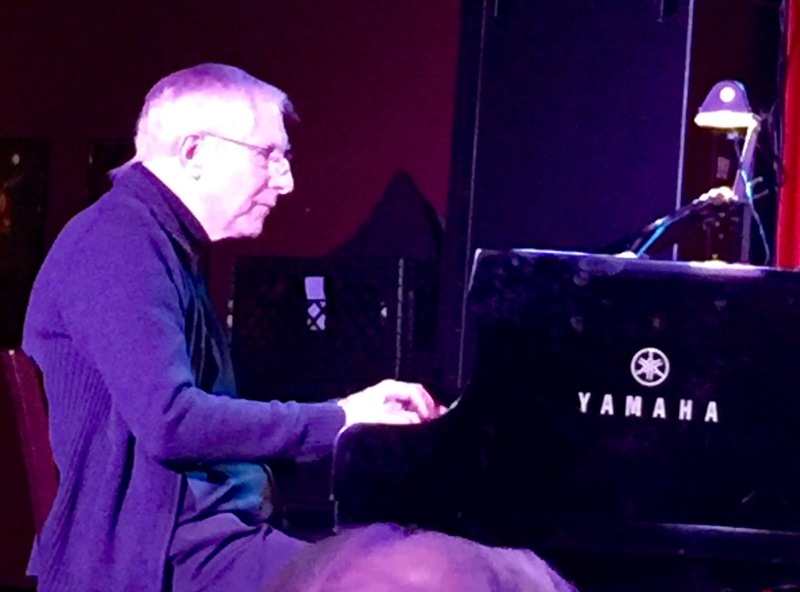 Ken has worked with the "Who's Who" of Jazz luminaries over his career including Benny Goodman, Bill Charlap, Rosemary Clooney, Mel Torme, Howard Alden and George Shearing as well as Madonna, Woody Allen and Marianne Faithfull. Ken has recorded over fifty albums as a leader or co-leader and has participated on scores of recordings by other artists. I want to share a wonderful quote about Ken Peplowski from noted critic Will Friedwald, "Peplowski sounds the way (Benny) Goodman might if he had kept evolving, kept on listening to new music, kept refining his sound, polishing his craft, and expanding his musical purview in the 21st century". 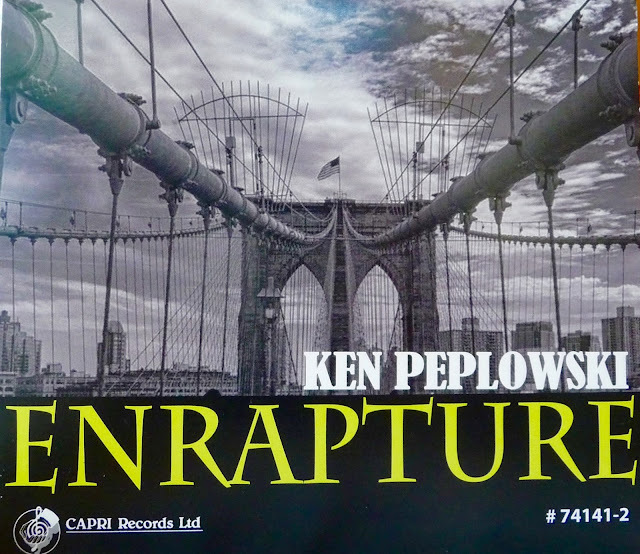 Anything Ken Peplowski plays is wonderful but what makes this CD really special is the wide-ranging material Ken has put together. He has picked songs from composers that normally would not be joined together in a single CD. The lists includes John Lennon, Duke Ellington, Noel Coward, Herbie Nichols, Peter Erskine, Anthony Newley and Bernard Herrmann. 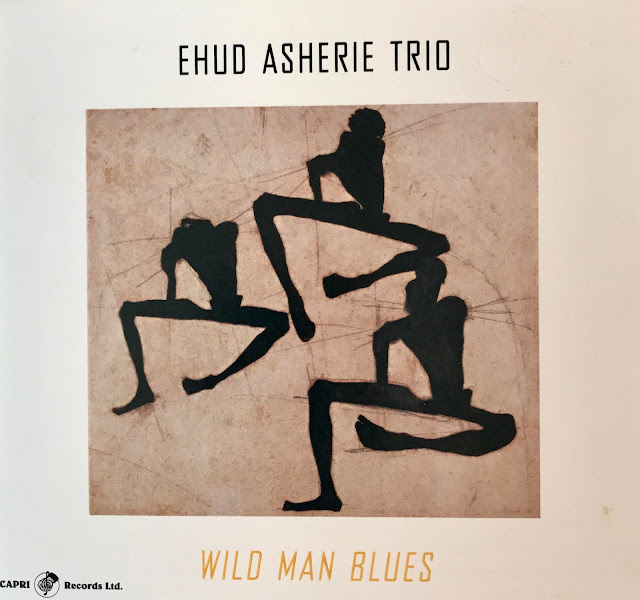 Ken is joined on this CD by three outstanding musicians, Ehud Asherie on Piano, Matt Wilson on Drums, Martin Wind on Bass and Ken Peplowski joining the group on Clarinet and Tenor Sax. Talking about "Enrapture", Ken Peplowski offers the following comments: "A year or so of sifting through material, a year or so playing with these great musicians, and very little time in the studio; we really wanted to approximate what we do in the clubs. This is us, in as close to a live setting as one could ask for in a recording environment. Every song in pretty much one take--we just like to capture the spontaneity and interplay of four people who enjoy making music together". I have attached two "YouTube" videos for your listening pleasure. The first one is "Enrapture" with Ken on Clarinet and the second is "When October Goes" with Ken on Tenor Sax. "Jazz For Jazz Lovers" at Pete Carlson's Golf & Tennis Is a Gift to All Music Lovers! 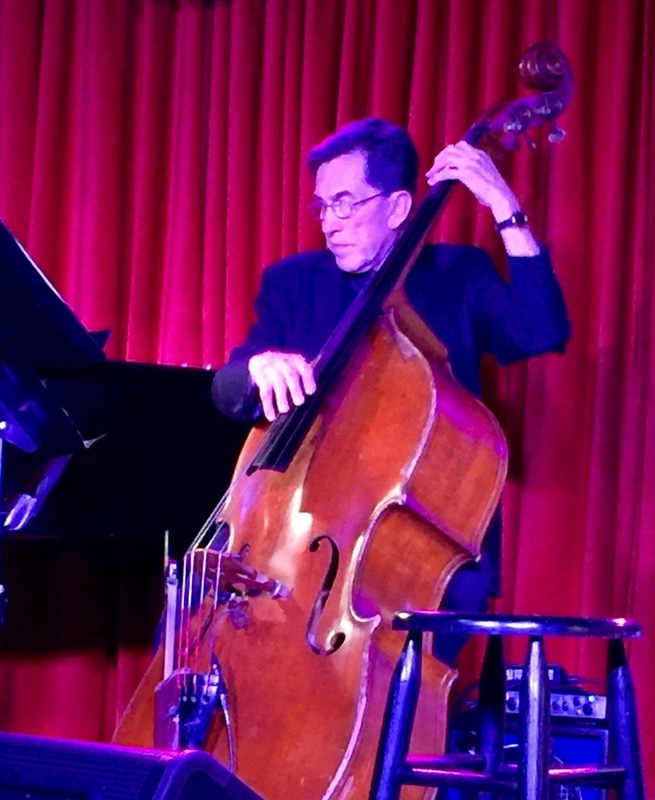 For any of my Jazz followers who have not discovered the wonderful Jazz Series: "Jazz for Jazz Lovers" at Pete Carlson's Golf & Tennis in Palm Desert, I think you are missing a chance of a life time to see and hear some of the best Jazz in the country. The series is possible because of the generous financial support of Pete and Edna Carlson who have put together over 40 concerts this winter season bringing wonderful performers to our area. All the non-profit concerts' proceeds go to support music education and scholarships for young musicians in the Coachella Valley. This series of Jazz concerts has been going on since 2010 and this year represents the largest number of concerts they have ever hosted. Some may wonder how a Jazz performance can be put on inside a Golf and Tennis store, but I can assure you that the venue is perfect. Everyone gets to see and hear great Jazz close-up and even better, talk with the performers one on one after the concerts. This year's concerts started on October 30 with the outstanding pianist Tamir Hendelman and his quartet that featured Polly Gibbons on Vocals. 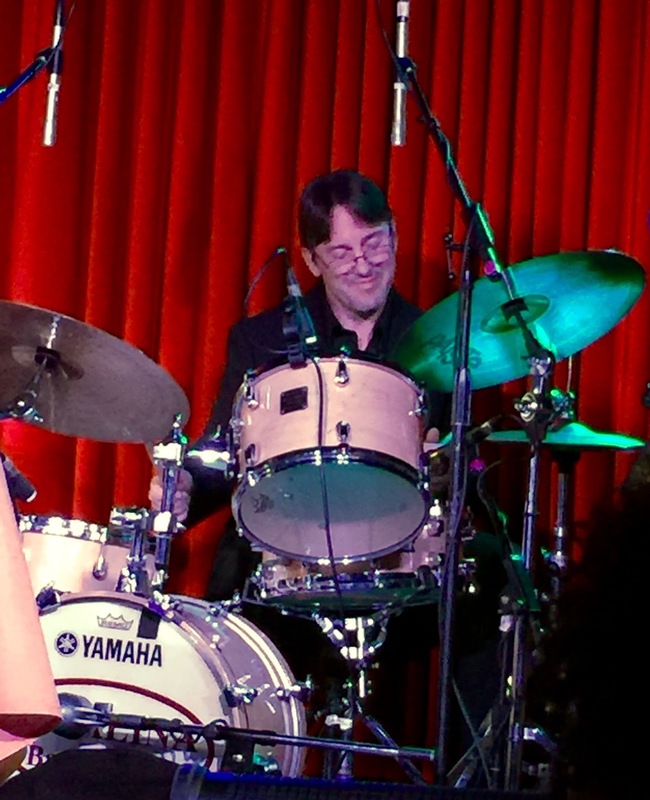 The last concert will be on April 2, 2016 with a Shelly Manne Tribute with Gary Foster. You can call for tickets in advance since they go quickly, 760-568-3263. Pete Carlson's Golf and Tennis is located at 73-741 Highway 111, in Palm Desert. All Jazz fans in the Valley owe a tremendous amount of gratitude to Pete and Edna Carlson for their tireless effort to bring all this world-class Jazz to us. I salute both of them and encourage you to do the same the next time you are in their wonderful golf and tennis store. Recently I attended two events that featured two of the best Vocalists performing today, John Prouix Trio consisting of Vally favorites, Larry Holloway on Bass and Jeff Olson on Drums. John sings and plays great Jazz piano. His vocal seems like a mixture of Chet Baker and James Taylor; not a bad combination, right ? John also performed some great songs he has written that have been covered by a lot of singers performing today. I found a "YouTube" of John Prouix singing "The Best Thing For You", the title song from his new CD. I know you will love what you hear! The second outstanding Vocalist I heard at Pete Carlson's Golf and Tennis was Jackie Ryan and her trio consisting of Jon Mayer on Piano, Chris Connor on Bass and Ron McCurdy on Drums. 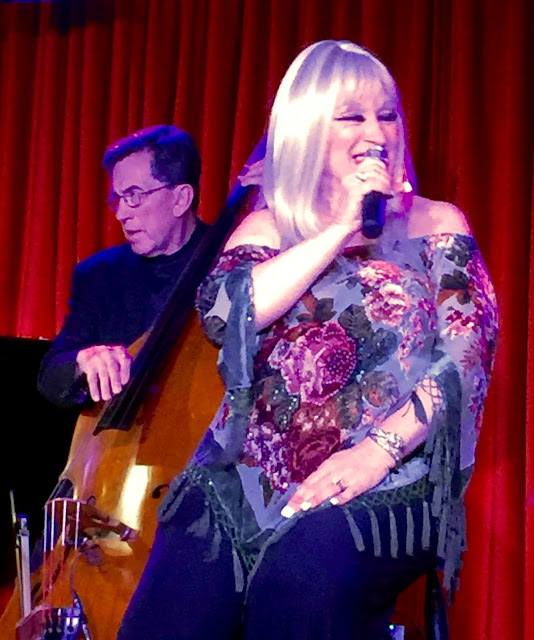 I can't even begin to describe how great Jackie Ryan is, but I will say that she reminds me of several of my very favorite Jazz Vocalists. Her stage presence is polished and professional and her selection of songs is straight out of my list of all-time favorite standards. What a delight to listen to her sing no more that 10 feet away. Jackie has several great CDs out and I highly recommend that you pick up a few. Jackie Ryan should be on your "To Do" list of Jazz artists you need to see in person! I found a "YouTube" of Jackie singing "You'd Be So Nice To Come Home To" from her great CD "You And The Night And The Music" that will give you a taste of her vocal talents. Every time I hear Mike Costley perform I prepare myself to find him less spectacular than I remember from the last time I heard him sing. However, the truth is that every time I hear Mike perform I always leave more impressed by his talents. I am not just talking about his singing. He is so much more. Mike is a marvelous singer/performer who has the ability to capture his audience within minutes of the start of his show and keep them engaged right to the last song he sings. Mike loves to sing and performs with body and soul and his passion quickly connects with his audience. His energy on stage is electric. Mike's first set is non-stop for over 90 minutes. What is most amazing is that Mike can sing every genre of music and all at the highest professional level. He is also naturally comedic especially when you least expect it! Mike is a perfectionist when it comes to music, and he demands and gets the top level of support from the talented instrumentalists that he carefully selects to join him on stage. 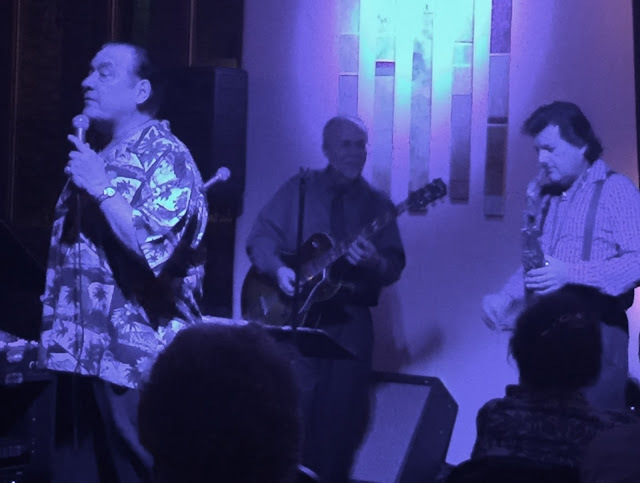 Supporting Mike at Vickys are two outstanding sidemen, Steve Alaniz on Tenor Sax and John Pagels on Guitar. 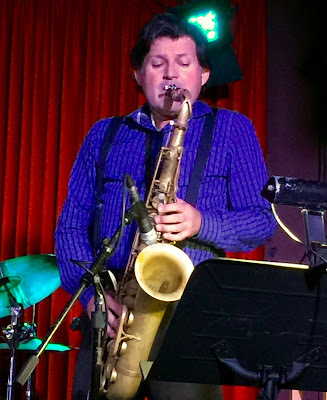 Steve is one of the best Sax players in Southern California, and I especially love the way he can mirror Sam Butera's wonderful phrasing and sound on the Louie Prima numbers Mike sings. John Pagels is also recognized by all the musicians I know as one of the most best guitar players on the scene today. He provides rock-solid support for Mike whether he is singing torch songs or up-tempo swing numbers; he can do it all. How lucky we music lovers here in the Coachella Valley are to get to be able toexperience Mike Costley on a regular basis. Mike's show is first rate and as good as any show you might see in Vegas or NYC. 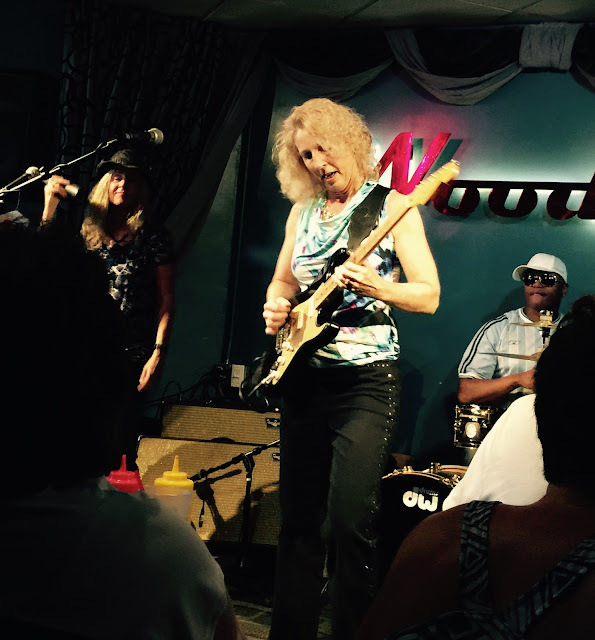 He performs every Tuesday at Vickys in Indian Wells to packed audiences. He starts at 7:00, but be sure to get to Vickys early if you want a seat. For those readers that have never had an opportunity to hear Mike sing, I have attached a "YouTube" of Mike singing with the great Jackson Garrett Band at an outdoor concert at "The River" in 2015. The band members consisted of some of the best musicians in our Valley: Jay Lewis-Drums, Jeff Stover-Electric Bass, Dave Ring-Keys, John Pagels-Guitar, Steve Alaniz-Tenor Sax, John Leys-Trombone and Don Clarke-Trumpet. All musicians perform wonderful solos on this track. 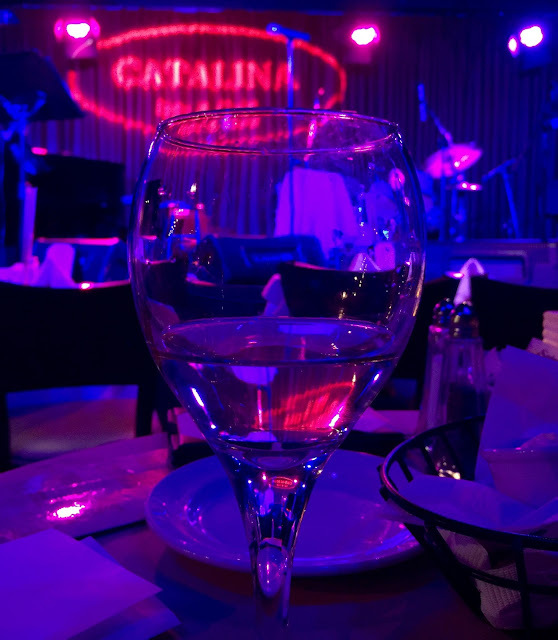 Opera great, Rose Kingsley made her debut at the historic Catalina Jazz Club in LA. 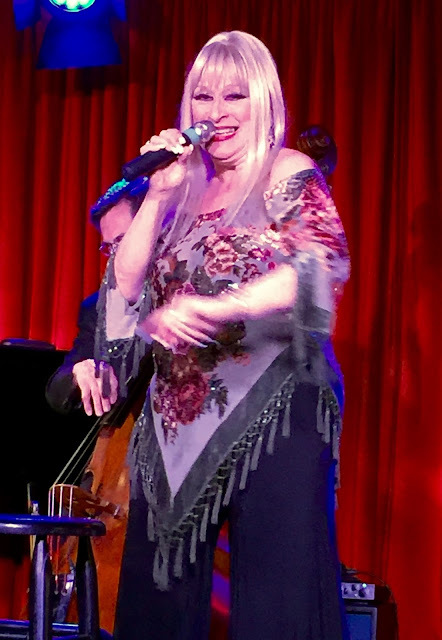 Welcomed by a large and supportive audience, Rose responded with a wonderful Jazz vocal performance of some of the best songs out of the "Great American Songbook". 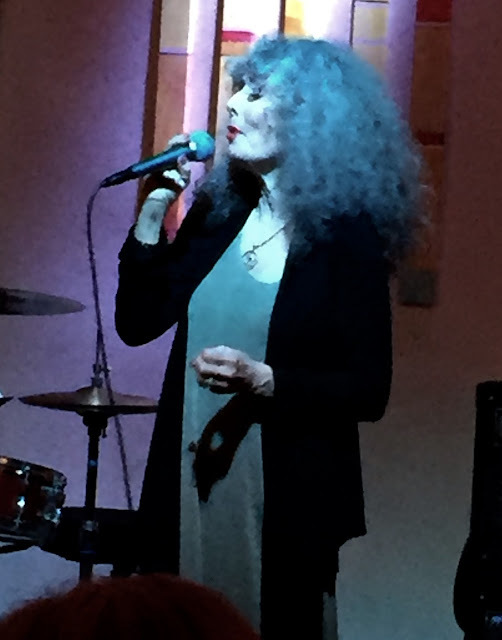 Rose is relatively new singing Jazz vocals but she has her own unique style that is unlike most of the Jazz singers on the scene today. As a result of her Opera training, Rose approaches each song and each lyric with great understanding and emotion. She never just sings words, she tells wonderful stories with every ounce of emotion in her body. Rose also never holds anything back, she sings perfectly with reckless abandonment that is seldom seen with other singers. Even though Rose has years of singing experience, she has thrown herself into perfecting her Jazz vocal chops in the belief that she add something new to the great songs of the past for her audiences. Rose is not the kind of singer that you can hear sing one song and fall in love with. Her style takes some getting use to but I can assure that after you listen to her sing her first handful of songs, you will fall in love with her. She is a wonderful performer in addition to being a wonderful singer! Rose also is savvy enough to make sure she has only the very best musicians supporting her performances. 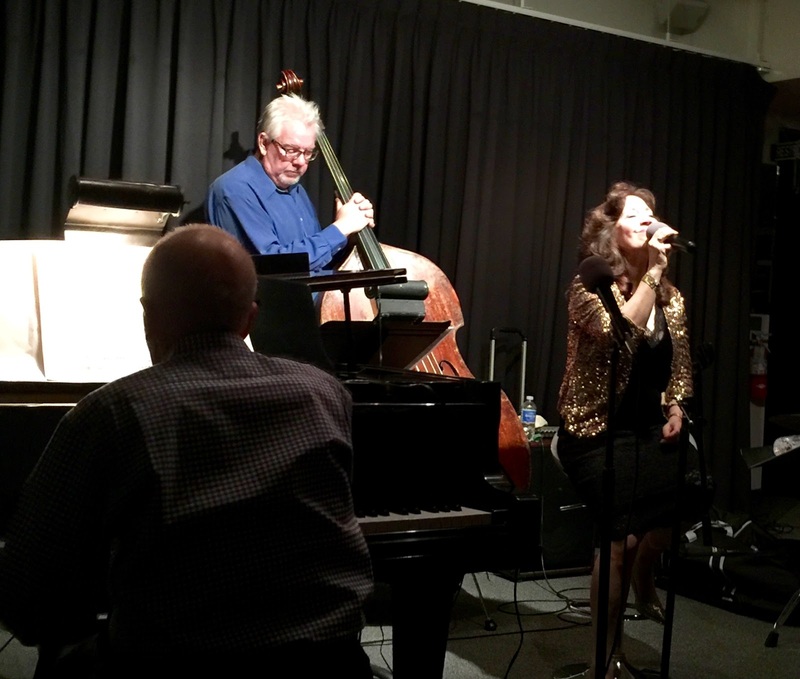 Tonight, she brought in the great pianist, Bob Corwin. along with Jim Di Julio on Bass playing his newly acquired 18th century Bass, Sax great, Steve Alaniz played Tenor and Soprano Sax and Jim Di Julio Jr. was on Drums. These talented musicians were sensation tonight playing a supporting role for Rose and providing excellent solos when called. 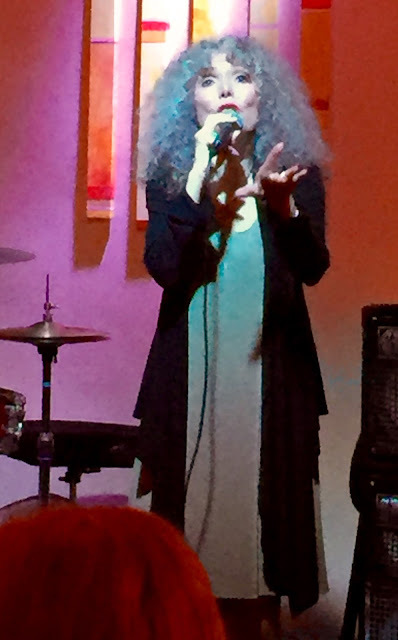 I have attached an iPhone video of Rose performing "Come Rain or Come Shine" that I published on my "YouTube" page.